The Lo Zone – Page 3 – Pop-lockin' thru pop culture and life. Our New Book Baby, Once Upon A Time In Compton, Is Here!!! Available in both digital and paperback, our new book, Once Upon A Time In Compton, is finally here! It plunges headfirst into the world of Compton, covering some of the most renowned moments in pop culture – the early days of N.W.A and DJ Quik, the L.A. 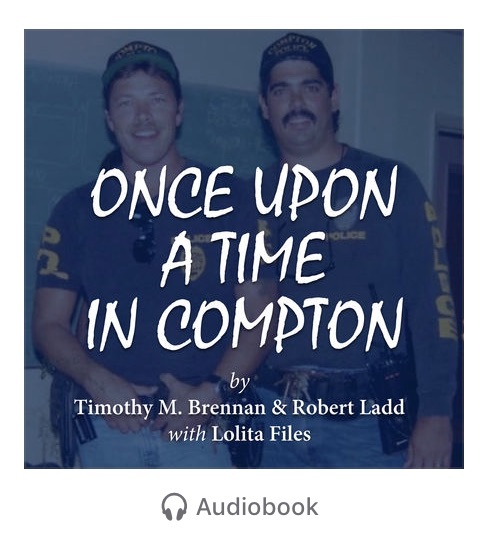 Riots, the murders of Tupac and Biggie, and the fall of the Compton Police Department – all experienced by my co-authors, former Compton gang unit detectives Tim Brennan and Robert Ladd. This is real drama, real history, hip-hop, true crime, and more, with page-turning after page-turning moment. And even though it’s mighty bold of me to say that as a co-author of the book, the reason I can say it is because of how this story held me in its grip as were were putting it on the page. Come…take this deep-dive with us. And brace yourself for a wild ride! Check Out Our New Book, Once Upon A Time In Compton, Coming On April 25th! It’s been a long time coming, but I truly believe it’s worth the wait. This book is a deep dive into the world of Compton covering some of the most renowned moments in pop culture – including the murders of Tupac and Biggie – as experienced by my co-authors, former Compton gang unit detectives Tim Brennan and Robert Ladd. It’s nonfiction, but it reads like a novel, and right now, Amazon has the digital version at a super-low pre-order price, so get it while it’s hot, because once pub day hits, so will the actual price. The paperback version will also hit on pub day. Don’t sleep, y’all. I’ve been researching and working on this book for nearly four years. When I say it’s a doozy, I really mean it! All Eyez On Tupac (…and maybe, just maybe, some eyez on me). This is the late hip-hop artist/poet/actor/activist/truthsayer Tupac Shakur‘s year. He’s being inducted into the Rock and Roll Hall of Fame on April 7th. The big-screen biopic All Eyez On Me, based on his life and starring dynamic and extraordinarily-talented newcomer Demetrius Shipp, Jr. in the lead role, premieres on Tupac’s birthday, June 16th. And in even further exciting news, A&E announced today the relaunch of their Biography brand as event programming across some of the A+E networks channels. The new-model “Biography” will air in various formats, from multi-part series to two-hour specials. The installments will primarily air on A&E Network but some will run on History and Lifetime as warranted by the subject matter. As part of the revival, A+E’s existing Bio.com digital content hub will receive a major overhaul, adding more video content and resources to coincide with new installments. One of the biographies they’ll be premiering is a six-part docuseries coming this summer that is an investigation into the murder of Tupac done on a comprehensive level that has never been explored before. “Who Killed Tupac?” is a six-hour mini-series that focuses on the investigation, twenty years after the death of the dynamic and influential rapper and actor. Famed civil rights attorney Benjamin Crump will conduct, for the first time ever, a no-stone-unturned investigation. Crump has represented the families of Trayvon Martin, Michael Brown, Tamir Rice and other victims of gun violence who many believe were denied their due process under law. When Tupac’s mother, Afeni Shakur, who went to high school with Crump’s mother, saw that he was fighting for truth and justice for the family of Trayvon Martin, she expressed to him how important that was and asked him to do the same for Tupac and other young black men. In each installment of this investigative series, viewers will learn about the legendary artist’s life while Crump examines key theories surrounding the murder. This docu-series will be the most fascinating and comprehensive look at the rise and life of a great artist, and perhaps the most high-profile unsolved murder in U.S. history. Through Tupac’s own words and exclusive new interviews with eyewitnesses, family, friends, and colleagues, viewers will come to understand every facet of Tupac Shakur’s complex personality. Oh, and I’m one of the producers. I’m sooooo excited about this. Don’t I look excited? We’ve put a lot of hard work into this production and I can’t wait for all of you to see it. Tupac is beloved all around the world. It was an honor to be a part of such a powerful experience. *Update: The series will be airing this fall. …that doesn’t take y’all off the hook for not pressing me to post more. DO BETTER, PEOPLE!!! CONTROL YOUR H–…er, um. I mean, nudge me more. I’m nudgeable. Act like you care, blackdammit!! !